Plot: Prove di Stato deals with the time period after the 1995 election of Luisa Bossa as Mayor of Ercolano, near Naples. She is in charge of the governance of a Camorra stronghold and a city symbol of clientelist practices. Although Luisa’s first action is to hang an Italian flag on her office wall to remind herself that “Everyone is Equal Under the Law,” the mayor has a hard time implementing this motto in face of the arrangements asked by the population. In a context of economic and social crisis, of scarcity of access to public resource, what is the signification of the law? 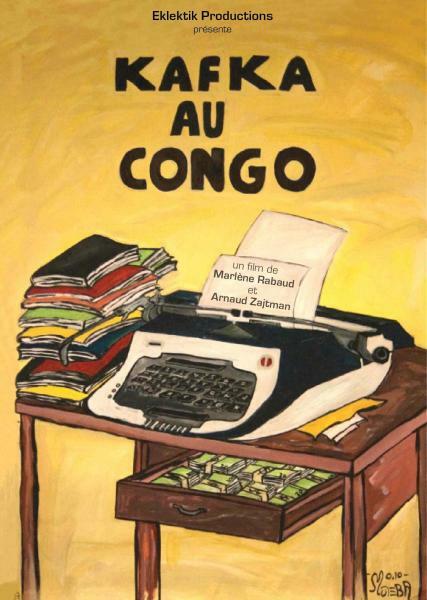 8.30pm: Kakfa au Congo, directed by Arnaud Zajtman and Marlène Rabaud (2010) – Belgium – 60 minutes. Plot: We follow here the misadventures of a woman who was deprived of her plot of land and who has been fighting in court for 15 years to get it back. Too poor to get the support of a lawyer, Gorette goes from office to office, like a distant cousin of Joseph K of Franz Kafka, to try and make her files land at the right place. But in every new meeting, the mechanics jams, as she is being demanded bribes and petty cash. Projection followed by a debate moderated by Marie Morelle and Sébastien Jacquot, with Tommaso Vitale (Professor of Sociology at the IEP of Paris and reseacher at the Centre d’études européennes), Camille Dugrand (PhD candidate at the Université Paris 1 – Panthéon Sorbonne), Arnaud Zajtman (Director of Kakfa au Congo).